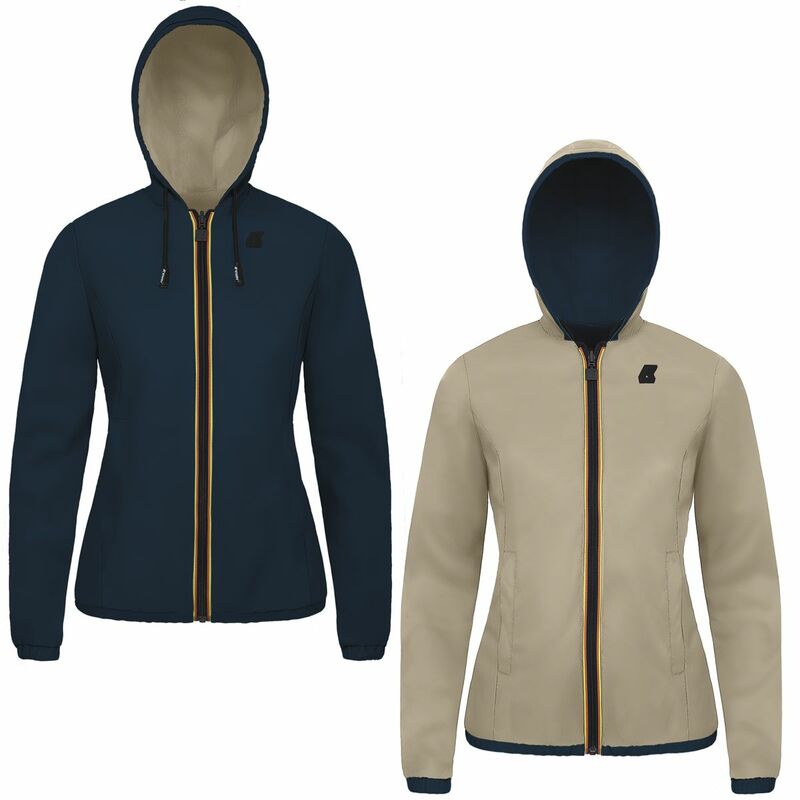 Regular fit, short, reversible women’s jacket in soft, light leather and water- proof, wind-proof Nylon light. Opens on the front with a full K-Way zipper and customized black puller. Fixed hood adjustable with draw cords fitted with customized K-Way cord ends. Two side pockets with invisible K-Way zippers and two inside pockets fastened with clip buttons. Black silicone K-Way logo, QR label and printed labels inside.